Bought my new to me 2016 Power Wagon a little less than a month ago. Newest truck I’ve owned to date and by far the most capable. Truck came with a brand new set of 285/75R17 Toyo ATs wish I had gone straight to 35s but I’m thinking of getting a second set of wheels with 37s to use on off road trips as this is my DD as well, would hate to wear out a set of nice 37s driving on the street to work everyday. Going to be line-xing the bumpers soon and at the same time cutting holes in the rear bumper for flush mount LED pods and trimming the massive front bumper as I have already smashed it up while out following an FJ-40 through a tight, rocky wash.
Plan to use the truck for vehicle based camping and hunting. Will be adding a Bestop soft top camper shell and a bed rack that will hold some of the overland gear and in the future an RTT. Nice rig. Post some pics of the bumpers when you get them done. Anxious to see what you come up with. Sweet truck! You will have a lot of fun. Well finally got around to chopping up the bumper. The fog light mounts make it hard to trim alot with out losing most of the mount. Might go to LED pods to get rid of these giant fog light mounts. Also got the CB mounted a few weeks ago and started to get the wiring for my lights and OBA set up going. I love the look from up front, very nice! The pic showing the inside of the fenderwell, though, not so much. Did you have to cut away at the plastic fender liner? Ya, the factory liner wasn't cooperating so I will be making a new fender liner for that area. That was the one area I didn't like either. However the benefits of the clearance from this will be nice as the bumper seems to have hung down quite a bit. In this picture you can see how much was removed. Heck yea. Please post up you progress for finishing off the wheel well liner area. Well Brown Santa came by while I was at work and dropped of my Bestop Supertop I was planning to put on the truck this week. Forgot to take a picture of the packaging but it appears it wasn't taped up too well while it was lost at the Dallas airport for a couple days . Anyways opened it up and start laying out parts and it appears someone had previously bout it and partially assembled it before sending it back to amazon. Well not all the necessary parts were still in the box. So after a phone call I have a shipping label and it's going back. After some thinking I am back to my debate of putting the soft top on or saving some more dough and going to the RTT on a rack. . I was looking at the Smittybilt tent as it is only $200 more than the topper is and is cheaper than the majority by several hundred. I have friends with both Tepui and CVT and I like those but I am wondering about trying the Smittybilt out for a while. What did it cost you to have the bumper linex'd? I had been back and forth on whether I was going to have the softopper replaced or get my money back. Ended up deciding to get my money back and save for an RTT. I still like the softopper because it was alot cheaper than most RTT's. Lucked out today while browsing craigslist and found a slightly used Smittybilt tent for a deal I couldn't pass up and I picked it up after work. Finally got around to building my bed rack and getting the tent mounted up higher. 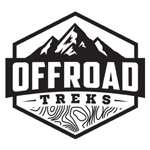 This will work for a few of my trips coming up including overland expo. Still need to weld on my awning mounts welded on. Ladder barely reaches the ground. Welded up some jerry can mounts that will get mounted to the pass. side of the rack. Those gas can mounts look good! Thanks! These were a DIY kit from crosses up customs I found. All I need to do is add a rentention method. I’m thinking I will put a “hook” on the handle that has a bolt that threads into a nut welded to the back of the mount. How you liking those 285/75's? The 285/75s are good I love the Toyos. However some times I wish I went to a full 35/12.50. I am looking at 37/12.50 and Thuren parts as soon as I can save the funds.